Do you want more traffic coming to your blog? Getting lots of pins from your blog posts can increase engagement and drive traffic. It can also help boost your performance on search engines because pins to your post are ‘do-follow’ links. Pinterest’s recent growth has been unstoppable. According to comScore, Pinterest has grown by 4377% since May 2011. Many blogs are using Pinterest effectively to increase traffic and build engagement. Below you will find 4 tips to get more traffic to your blog from Pinterest. 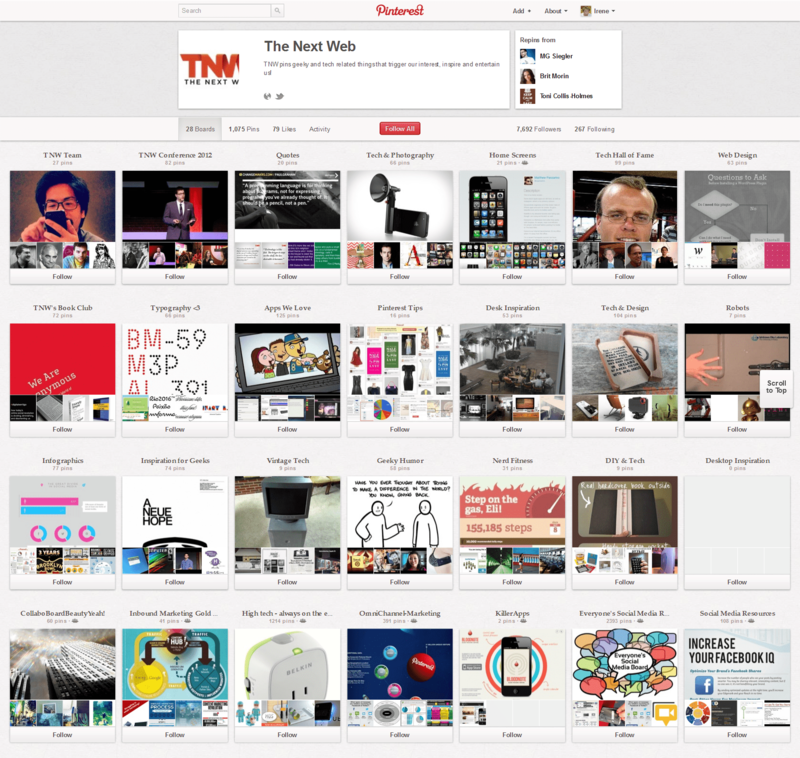 A blog with a great Pinterest brand page is The Next Web. Their brand page has several boards onto which a lot of content is pinned. And the boards are mainly on topics like technology, social media, mobile, etc.—the subjects The Next Web publishes articles on. Pin a lot of content from your blog and other blogs. An example is the board Tech & Design, where as the title mentions, they pin articles on the subjects of technology and design. If you look closely, you’ll notice they mix content from their blog and content from other websites. When people follow this board, they know what to expect. And this works for The Next Web too. When they pin images of their posts, they can expect likes, repins and increases in traffic. Another great board is TNW team, where they pin images of writers, staff, editors and contributors who play a big role in creating all of the wonderful content. Pinning pictures of your writers can improve work culture and boost morale. This works well as it brings their authors and their fans together and will help them connect as a part of The Next Web. Doing this not only helps them build a good work culture, but it also helps their regular readers get to know their favorite writers better. In a recent post, I wrote about how infographics can get you more pins and repins on Pinterest. 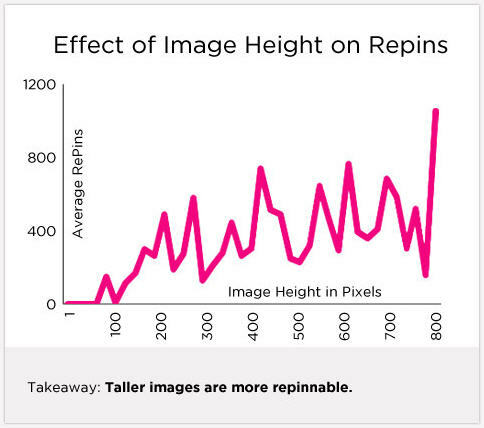 In a recent study, Dan Zarrella shows that taller images get more pins and repins. So if you want the images on your blog to be shared more on Pinterest, focus on creating taller images. This doesn’t mean that you need to create more long infographics, but that you need to create taller images in general. An example is the image on the post Make Your Own Cake Flowers on the Wedding Chicks website. This massive image is a combination of many images. If you take a look at the image, you can see that this is actually a combination of images. 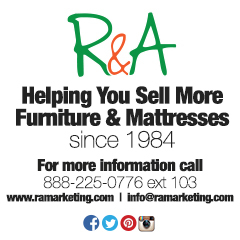 This single long image is very pinnable and repinnable. If you want proof, look at the image below and you’ll find that it’s been pinned more than 49,000 times. This tall image has been pinned more than 49,000 times. Yes, that’s right. The image above has been pinned more than 49,000 times! So before you publish that post, take a look at your images and try to figure out if it’s possible to put all of your images together and create one long image. A great blog with beautiful images in every post is Live Well For Less run by Sainsbury’s. Sainsbury’s is a chain of grocery stores located all over the UK. On their blog, they post recipes of food made out of affordable ingredients. On the top of their recipes, they have an attractive and big-enough photo of the end product. This makes the recipe pinnable. 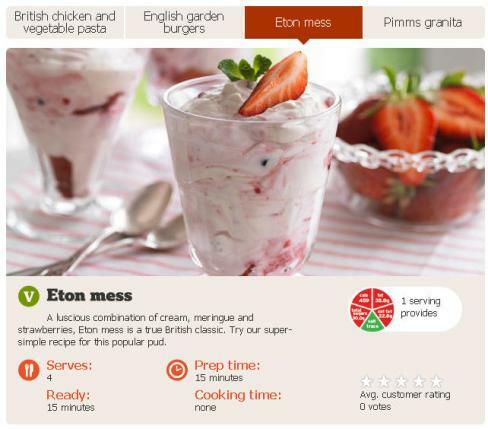 For example, take a look at the photo of their Eton Mess recipe. There’s a large and beautiful photo, which is quite prominent. If you click the Pin It button, you’re asked if you want to pin this image and you’ll want to pin it because it looks so good. A photo of the end product of the recipe. So make sure you add images or photos to your post so that people can pin them. If you want to take it a step further, you could add several images to your post instead of just one. You can learn more about the advantages of this by reading 6 Ways to Drive More Pinterest Engagement, where I wrote about how Ree Drummond of Pioneer Woman adds many images to her posts. Another option would be to add default images to your blog that will be visible on every page and post. The image of this blue bird can be seen on every page and every blog post of Ching Ya’s blog. You can see a default image on the header of Ching Ya’s blog Social @ Blogging Tracker where there’s a cute little blue bird on the top. If you visit every page and every post, you’ll notice that the image of this bird is always present and you can pin it. Click the Pin It button and try it for yourself. This image is very pinnable and fits perfectly into her blog as it resembles the Twitter bird, which is relevant to the topics they post here on social media. So even though it’s very general, her readers should relate this image to most of the posts. Don’t just create a default image; create a relevant default image that suits your posts. These are 4 ways to get your blog to thrive on Pinterest. Follow them all if you want to get the most out of your blog through Pinterest. What do you think? How do you promote your blog with Pinterest? Are there any other tips you would like to share with us? Please leave your comments in the comments box below.